Two patterns have shaped Israel's history since 1992 and go far to explain Israel's predicament today. First, every elected prime minister has broken his word on how he would deal with the Arabs. Second, each one of them has adopted an unexpectedly concessionary approach. Yitzhak Rabin promised the Israeli public immediately after winning office in June 1992 that "with the PLO as an organization, I will not negotiate." A year later, however, he did precisely that. Rabin defended dealing with Yasir Arafat by saying he had found no other Palestinians to do business with, so to "advance peace and find a solution," he had to turn to the PLO. Benjamin Netanyahu promised before his election in 1996 that under his leadership, Israel "will never descend from the Golan." In 1998, however, as I established in The New Republic and Bill Clinton just confirmed in his memoirs, Netanyahu changed his mind and planned to offer Damascus the entire Golan in return for a peace treaty. Ehud Barak flat-out promised during his May 1999 campaign a "Jerusalem, united and under our rule forever, period." In July 2000, however, at the Camp David II summit, he offered much of eastern Jerusalem to the Palestinian Authority. Ariel Sharon won a landslide victory in January 2003 over his Labor opponent, Amram Mitzna, who called for "evacuating the settlements from Gaza." Mr. Sharon ridiculed this approach, saying that it "would bring the terrorism centers closer to [Israel's] population centers." In December 2003, however, Mr. Sharon adopted Mitzna's unilateral withdrawal idea. Prime ministers sometimes complain about other ones breaking their word. Mr. Netanyahu, for example, pointed out in August 1995 that Rabin had "promised in his election campaign not to talk with the PLO, not to give up territory during this term of office, and not to establish a Palestinian state. He is breaking all these promises one by one." Of course, when he got to office, Mr. Netanyahu also broke his promises "one by one." What prompts each of Israel's recent prime ministers to renege on his resolute intentions and instead adopt a policy of unilateral concessions? In some cases, it is a matter of expediency, notably for Mr. Netanyahu, who believed his reelection chances improved via a deal with the Syrian government. In other cases, there are elements of duplicity – specifically, hiding planned concessions knowing their unpopularity with the voters. Yossi Beilin, one of Mr. Barak's ministers, admitted during the Camp David II summit that he and others in the government had earlier concealed their willingness to divide Jerusalem. "We didn't speak about this in the election campaign, because we knew that the public would not like it." But expediency and duplicity are just part of the story. In addition, sincere aspirations inspire Israeli prime ministers to abandon strong policies for weak ones. Here we leave the political domain and enter the psychological one. Being prime minister of Israel, a country surrounded by enemies, is a weighty one. It is only too easy for the officeholder, having been elected leader of his people, immodestly to believe that he has a special talent to resolve his country's great, abiding, and potentially fatal problem, that of Arab hostility. Not for this great man is it enough to plug away at the dull, slow, expensive, and passive policy of deterrence, hoping some distant day to win Arab acceptance. His impatience invariably leads in the same direction – to move things faster, to develop solutions, and to "take chances for peace." If the prime minister's initiative succeeds, he wins international acclaim and enters the Jewish history books. If it fails – well, it was worth the try and his successors can clean up the mess. Grandiosity and egoism, ultimately, explain the prime ministerial pattern of going soft. This brings to mind how, for centuries, French kings and presidents have bequeathed grand construction projects in Paris as their personal mark on history. In like spirit, Israeli prime ministers have since 1992 dreamed of bequeathing a grand diplomatic project. The problem is, these are undemocratic impulses that betray the electorate, undermine faith in government, and erode Israel's position. These negative trends will continue until Israelis elect a modest prime minister. June 29, 2004 update: I tried this thesis out in Jerusalem on June 21, before an audience that included Avigdor Lieberman, who has just lost his job as minister of transportation in the Sharon government due to his opposition to the unilateral withdrawal from Gaza. On the conclusion of my remarks, Lieberman bounded out of his seat, took the microphone from me, and announced to everyone, "When I am prime minister, I will not do that. I will stay faithful to my promises." Ami Ayalon demands that Netanyahu dream big. Feb. 20, 2013 update: Despite my apprehensions four years ago, Binyamin Netanyahu stayed respectably close to his electoral promises during his second term as prime minister, 2009-13. But his third term got off to a very rocky start with the clinching of a deal yesterday with Tzipi Livnia's Hatnuah party, thereby ignoring the wishes of those who voted for him even before his new government takes office. Mar. 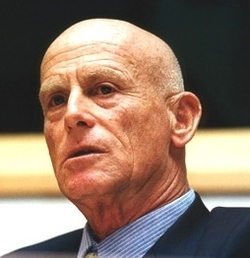 25, 2013 update: Ami Ayalon, former head of Shin Bet and now a left winger, captured the burden on Israel prime ministers when he declared (as paraphrased by Ben Birnbaum in "The End of the Two-State Solution: Why the window is closing on Middle-East peace") that "Netanyahu needs to envision his grandson 40 years from now reading a newspaper about the three great Zionist leaders: Theodor Herzl, who dreamt the state; David Ben Gurion, who built it; and Benjamin Netanyahu, who secured its future as a Jewish democracy." July 5, 2013 updates: I nominate Binyamin Netanyahu today for a second inclusion in this list at "Is Netanyahu Turning Left?"